An estimated 60% volumes in Logistics and Supply Chain activities in the country are managed by 3PL and 4 PL players. A third-party 3PL logistics provider provides outsourced logistics services to companies. These services can make up part or sometimes all of their Logistics and supply chain management activities. The 3PL activities include: Inventory storage and management, Picking and packing, Freight forwarding, Shipping/distribution, Customs brokerage, Contract management, IT solutions, Cross-docking etc. 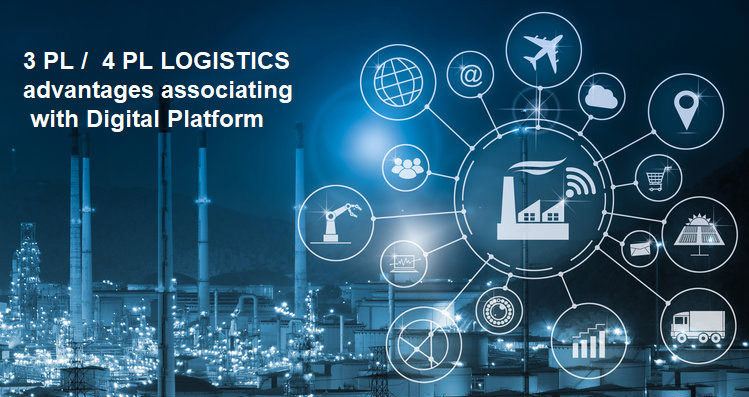 A fourth-party 4PL logistics provider essentially takes third-party logistics a step further by managing resources, technology, infrastructure, and even manage external 3PLs to design, build and provide supply chain solutions for businesses. To avail services of these players in the market make a lot of sense to Shippers, because they bring in the necessary expertise and help in close co-ordination and adherence to timelines and controlling costs. However most of the players offering these services are Asset light and do not have captive Vehicle inventory and outsource it to service providers / transporters. Often it is observed that there is always a challenge when the vehicles are required to be placed thereby putting pressure on the delivery timelines. An association with Digital platform like VALUESHIPR www. valueshipr.com helps 3PL & 4PL Logistics players to directly integrate with the Transporters, streamline, integrate and adhere to high service standards at optimum costs, in their business dealings. Relocation – Require Movers and Packers – Here are some tips ! Moving goods or relocation can be quite overwhelming or draining experience for people involved. Whether it is shifting current home or office or shifting machinery into new premises across cities, states or even internationally, requires great energy levels, oversight, thought and care. At VALUESHIPR, jointly with our partners, we get involved in the process of planning out the entire activity to ensure that the activity is handled with care and at reasonable costs. Even for an expats coming into India or going out of the country the whole process needs specialised skills and the experience quiet daunting. Planning ahead of your move is absolutely essential. Needless to say, the most savvy mover does so months before the arranged date. Atleast 2 months before the planned date, start with informing Banks, Post offices, Chartered Accountants, Club Memberships, Credit Card companies, schools, tutions etc. One month before the move, arrange for a pre-move survey. You may be moving into a larger property,but you will save a lot of time and effort if you scale down your material goods before you have to pack them up. Inspection will reveal a lot of redundant items. Any items you can’t bear to lose but aren’t currently being used, can be boxed up early. Get packing materials (quality packing materials!) early on. Pack gradually to reduce stress. Label your boxes by room, colour code to make it easier, and of course, mark fragile items as such, with a “This side up” label. Further, back up your personal computer, collect school records, collect international driver’s licence ( if needed), Purchase additional items that you wish to send in the shipment, sell car ( if needed), sell plants, furniture appliances or give it away. Visit doctor / dentist and obtain medical / dental records. Cancel magazine or newspaper subscriptions. Check If any dry Cleaning of clothes needed, Inform the telephone company and electricity / gas/ water authorities. Reduce/dispose of all frozen/perishable foods. Write a plan of action down and make sure everyone moving with you is aware and onboard. Packing kitchens is a tough act when trying to move home. There is heavy stuff, breakable things and lots of sharp items amongst other things. Pack before any other room, but leave out the kettle, toaster and anything that you will need on the day. Tea / coffee breaks are essential. Your fridge should have been emptied and switched off at least 24 hours before and throughly cleaned before moving. Original packaging would be the best, if not, pack and protect all appliances as best you can. Bubble wrap all breakables, making sure glasses and cups are filled (newspaper will do). Always stack plates with a layer of protection between each, again enough newspaper to allow cushioning is fine. Essentially bubble wrap the fine china. No sharp ends left unsheathed, no boxes packed improperly. Also mark heavy boxes as heavy. Bedrooms are one of the most important rooms to unpack first because you will be using this before any other room is ready. Make sure the bed is where it should be, thereafter the kitchen, dining room, drawing room and bathroom can be sorted. Group pots and pans handles together. Use new boxes, especially for valuable and heavy items. Pack in order of necessity eg; Vases before appliances, bookcases before beds. Have a bag of ‘on the day’ necessities ready. Teabags, Tissues, spare clothes; whatever you need while in transit. Make sure you label electronic appliances connections where it was unplugged from. “FRAGILE”, “HEAVY”, “THIS SIDE UP”. At least one of these on every COLOUR CODED box (Red = Kitchen, Green = Bedroom, etc.). “ESSENTIAL” on the boxes that will assist in the moving in process. Cleaning items, detergents , towels etc. Things you need, you take for granted. Circa July 2018, when World Bank published the Logistics Performance Index 2018, India has slipped from the 35th position to the 44th position! Shocking ! What would have happened.! Logistics is a $4.3 trillion Industry globally. It is the backbone of trade and good logistics can reduce trade cost and make countries compete globally. Getting logistics right, means improving infrastructure, skills, customs and regulations, policies and governance at the right proportion. Efficiency of the clearance process (i.e; speed, simplicity and predictability of formalities) by border control agencies, including customs. Almost all seven parameters that go into building the Index, has dropped for India. Now this is startling for the fact that in the last 24 months some of the key initiatives from the government in the area of Core infrastructure and logistics has been unleashed. The biggest reform in the form of GST “ One country one market” was implemented in 2017. This is considered the harbinger of reforms that would be actually propelling and smoothening the Logistics infrastructure across the country. Logistics sector was accorded Infrastructure status, paving way for development funds and priority in decisions. The Government introduced several important measures to develop Infrastructure in the country, with the allocation of Rs. 5.35 lakh crore to develop 35,000km under phase-I of the Bharatmala road project, electrification of railway tracks, focus on high-speed trains, the Sagarmala programme and by actively working on e-mobility solutions for clean and cost-effective mobility. The initiative to set-up National Logistics Portal as a single online window to link all stakeholders will also give a big digital push and streamline the functioning of the Logistics sector. Another significant development is the Rs. 2.4 lakh crore towards development of smart cities that will give a uniform development across the nation. The road sector has attracted private investments with new measures like the Hybrid Annuity Model (HAM), Toll-Operate-Transfer (TOT) model, improved land acquisition process, the launch of masala bonds and Infrastructure Investment Trusts (InvITs) besides other initiatives. The Indian Railways has gained traction with a handsome budget allocation of 1.48 lakh crores furthering investment potential in areas such as elevated rail corridor in Mumbai, some parts of dedicated freight corridor, freight terminals, redevelopment of stations and power generation/energy saving projects. The introduction of Sagarmala programme, Major Port Authorities Bill, 2016 and the ‘Landlord port’ model have all been instrumental in giving a boost to the Ports & Shipping sector. The initiative of DPD Direct Port to door by JNPT has further eased the congestion at the port paving way for better efficiency and throughput. Several Logistics parks have been initiated across vital centres. The Road ministry’s impetus on coastal and hinterland roads, objective to complete 300 road projects by 2019 , per day road construction moving from 8km to 22 km and targeting 40 kms is also very un-precedented. 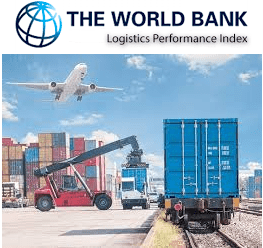 All these buzz and activities in India, seems to have had no baring on the Task project team from the World Bank entrusted with publishing the Logistics performance Index. Have they been biased? Festival times are around the corner in India and elsewhere in the world. August through December witnesses some of the highest goods and cargo being shipped across to consumption points. The goods from raw material to the finished goods may see multiple modes of handling before it is eventually consumed. Manufacturers, distributors and logistics companies are constantly looking at most cost effective, efficient methods to transfer the goods to their destinations. Shippers from Mumbai may be seeking Best transportation costs to Delhi, Bangalore , Chennai Hyderabad or Ahmedabad or even NhavaSheva from their warehouse facility at Bhiwandi, Thane, Navi Mumbai,Taloja or Kalamboli. Cargo-owners could also be looking for Best transportation costs from Gurgaon, ICD tuglaqbad, Dadri to places like Delhi Airport, Ludhiana, Lucknow, Indore or the NCR region. India has a transportation model heavily leaning on Road mode. The sector is highly fragmented and has huge dependencies on Broker network. As a result there is huge opaqueness, non transparent pricing, very low trust, poor commitment levels and absence of professionalism. All these leads to poor accountabilities. The advent of digitization and internet economy has ushered in the shared or network economy business models. Manufacturers, distributors or Logistics companies can now leverage the Online Truck or Trailer booking services either to fulfill their First Mile, Last Mile or Middle Mile requirements by just registering on platforms like www.valueshipr.com and with few clicks or swipe, get a whole new hassle free experience in transportation. The platform uses technology to flank locations with Supply, match demand, orchestrate the throughput movement by providing visibility of shipment with tracking, automated documentation and Proof of delivery. Technologies like Cloud, Big data, IOT, AI and payments help bring in this transformation. 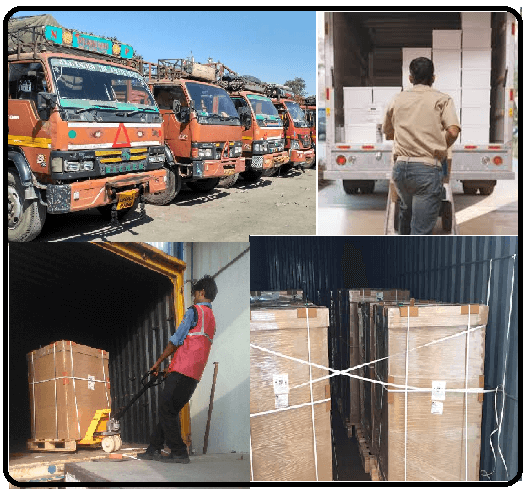 All these with excellent backup of responsible Logistics team who ensures quality, timely deliveries and efficiency of cost savings. This platform is a boon for a wide cross section of clients from a small entrepreneur to medium and large scale companies. One can effect ‘Spot’, ‘contract’ and ‘To pay’ assignments with Valueshipr. The payments for the assignments can be made Online using Payment Gateway or direct Bank Transfer. From small parcels to cargo, containers, relocation to ODD dimension large project shipments are transported by VALUESHIPR . Being a multimodal platform one could look at a complete solution for EXIM requirements as well. 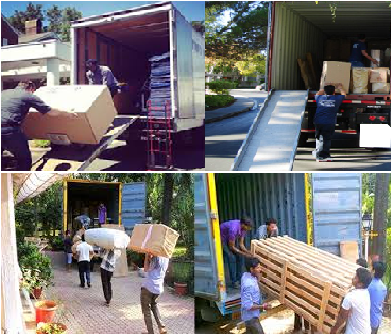 These initiatives are helping smart clients to now be assured of high quality of Logistics services. Associations Most recognized and global forwarders belong to an association of freight forwarders called FIATA (International Federation of Freight Forwarders Associations)which is considered to be the global voice of freight logistics There are no such associations for NVOCCs on a global basis while there may be some localized groupings in different countries. Shipping documentation Issues their own bill of lading and other shipping documents which is generally based on standardized documentation created by FIATA Issues their own bill of lading which may or may not be based on any global standard. As truck upon truck hurtled along the highways carrying cargo or goods from one location to other, one would have wondered what would have been the history of the this workhorse “ the Truck”. To understand the history of Trucking, it is necessary to look under the hood and delve into the past to actually appreciate the journey and the legacy. Well you guessed it right, the first modern truck was indeed pioneered and invented in the late 19th century in the seat of innovation then, Germany by Gottlieb Daimler and Karl Benz in 1895-96. These gentlemen thereafter also went forward and innovated the first motorcycle and the first taxi. The first pickup truck invented by these gentlemen was an internal combustion two cylinder four horsepower engine and a belt drive, with two forward gears and and one reverse powered by gasoline. It is pertinent to know the ancestor of all these innovation was the steam powered wagons invented in 1769 by Nickolas- Joseph Cugnot. Diesel driven trucks though invented in 1897, became much accepted after the 1930s in Europe and 1970s in the Americas. It is estimated, the word “truck” might come from a back-formation of “truckle”, meaning “small wheel” or “pulley”, from Middle English trokell, in turn from Latin trochlea. The essential components of a truck are ‘the engine’, ‘the Frame’, ‘the Drive train’ and ‘the Cabin’. Diesel engines with turbo chargers and coolers have become the engines of choice. Compressed natural gas engines have also made significant inroads in the developed countries especially owing to low cost, near zero emissions and their environmental impact. The latest breakthrough in trucking is the “driverless truck” introduction and testing being done by some trendsetting companies. This could again alter the entire ecosystem in a very significant manner in the days to come. Globally the highest limits on the length of the truck carriage/outback for fixed is 82 Feet and for a road train (with puller formation) is 176 feet and the weight carrying limits could be 62.5 Tons to 172 tons respectively. In India it is 55 feet on fixed basis regulations. Since trucks are bigger and heavier than most of the vehicles and their drivers generally ply them on the roads for more hours per day, they cause more wear and tear of the paved roads. The life of the paved roads is measured by the number of vehicle axles that pass over them for a defined period. The Load Equivalency factor that is used to determine the damage caused by the pass of a vehicle axle is proportional to the 4th power of weight. So a 10 ton axle truck causes 10,000 times more damage as compared to a 1 ton axle truck. Hence the Trucks are subjected to higher taxes and highway tolls in comparison to say cars. 5) Tata Group – India. Some of the earliest trucks that were introduced on the Indian Roads were the Dodge Fargo P6 series. These Trucks were the ” Kew ” design Trucks from the Dodge Factory in Kew, Surrey. Hence the name ‘ Kew Dodge ‘.The Kew trucks used Perkins engines in the UK and it was prudent to use the Perkins P6 Diesels here in India due to the hot tropical climate. The Trucks were manufactured by Premier Auto at their Kurla plat around 1947 and were badged ‘Fargo’ ‘Dodge’, and ‘DeSoto’, with Fargo being the brand for trucks sold by Plymouth dealers. Around the same time Hindustan Motors (Birla) another company introduced the Bedford trucks and Ashok Motors began the assembly of Leyland trucks, and with the company eventually concentrating on the business of making trucks, it was renamed as Ashok Leyland. After Tata Motors or erstwhile TELCO and Ashok Leyland commenced CV manufacturing in mid 1950s, customer preference soon shifted towards them and sale of CVs made by PAL and Hindustan Motors (which were initially sold under “Bedford” brand and later as “Hindustan”) dropped significantly and eventually shut down in 1979. Much later one of the most defining moments was the introduction of the Tata 2213, a 22 tonne GVW multi axle (3 axle) heavy commercial vehicle, still acknowledged as the game changer in the industry. 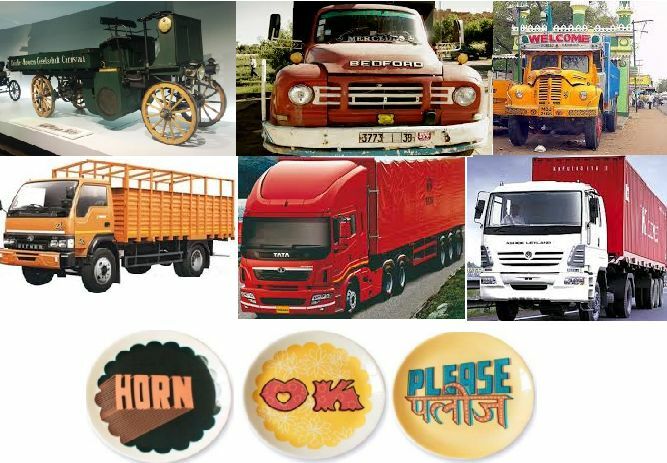 Today various configurations of trucks on the Indian roads range from from the light to heavy categories viz; pick-ups, LCVs, single axle and multi axle variations of trucks across weight carrying configurations, refrigerated trucks, trailers, pullers with hydra axles. Some of the Indian manufacturers who have significant units in operations in India are Tata, Ashok Leyland, Eicher, MAN, Bharat Benz, AMW, Hino, Volvo, Mahindra and Force motors. Manufacturers are also gearing up on new technologies like telematics and electric vehicles. The new paradigm that’s also seeping in steadily, organizing, building efficiencies is the advent of technology platform like valueshipr, which offers Shippers an array of Trucks and transportation choices. 60% of India’s transportation requirements are met by Road movement. India has close to 1.6 Cr transporters and about 45mn trucks plying and vying for 1325+ btkm volume of load in India. So the next time we see this massive beast swooping down on the roads and disappearing from sight, take a moment to wallow on this small snippet of history. For your goods and Cargo transportation requirements, book truck online by downloading the VALUESHIPR APP or visit www.valueshipr .com / call 8655012255. Trucks have played a very important role in helping connect and transport goods across countries and aids geographies develop and become prosperous. One cannot deny that this movement has helped habitation, regional development and distribution of income and resources and possibly bridge the divide between urban and rural. Road and rail transport carries, over more than 70% of inland freight volume. For example in India over 52% shipments happen by road and 34% by rail. Over 7000btkm ( billon tonne kilometer) of goods are transported each year by road in the EU, USA, CIS, China and Japan alone. the USA and over 20 million in India. This does not include jobs in truck-related industries, such as vehicle manufacturing, repairs, retail, leasing, or insurance, nor the millions of other jobs that depend on trucks to supply and distribute goods. What needs to be noted is the optimal efficiency for trucking companies, is not how many trucks you have, not how many drivers you employ or branches you have, not how much warehouse space you have, but how effectively you are using those assets. 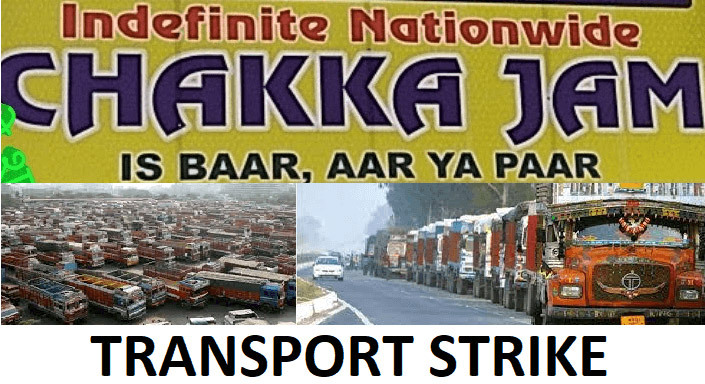 Often in long haul movement, truck owners have a sort of thumb rule earning for the month number, say Rs.85K or Rs.115K a month for example, while this may be broadly an assumption in the right direction, however this approach may be flawed in hindsight due to several components of cost not being acknowledged in the consideration, besides it doesn’t stand the test of scale as well. Here are some basic steps, how trucking companies / fleets can increase productivity. As we all know, objectives are delivered only when Key performance indicators are measured. “Most small and medium size transporters don’t have the ability to determine what the productivity number is for break-even or for making a certain profit, and how that relates to a specific truck and what its contribution needs to be. Therefore it is important that Truckers and transport companies derive a total revenue number based on – Infrastructure and resource employed cost + cost of interest (finance)+ operational running cost + insurance cost + asset wear and tear (depreciation) . Post determining this revenue number, this number could be apportioned on the asset and a per day revenue objective could be obtained. Don’t include fuel surcharges in your productivity numbers. That changes as the price of fuel fluctuates and has nothing to do with your productivity. Fleet owners should use the fuel surcharge as a deduction against their fuel expenses, so they can get a better feel for whether the surcharge is doing its job of absorbing increases in fuel costs. In order to properly track and measure, you need a good transportation management system. Maybe VALUESHIPR www.valueshipr.com is one place you could check out. It offers its simple and user friendly transportation management platform almost ‘free’. The most important thing is efficiently using whatever the features and the capabilities that these systems offer. Ensure there there is no resistance from the users in your organization, in adoption. ValueShipr organises three basic areas: Sales, planning, and driver management. Fundamentally most transport companies do not have an active Sales team and depends on their relationship and broker agent network to garner business. This method at times impedes growth and a platform such as ValueShipr helps overcome this deficiency by getting visibility to newer customers and better Sales control to enhance business. We have observed that users who have adopted and used the ValueShipr platform have reported enhanced productivity in revenues and business from each of their trucks and trailers registered with the platform. In addition the data used for decision making is current, live and real-time, with electronic logs and other information coming directly from the truck. TThe fastest way to improve your bottom line or profitability, is to either put parked trucks into operation or increase the productivity of individual trucks. The average monthly utilisation (revenue earned) of trucks or trailers is about 13-14 days. This is chiefly attributed due to lack of business visibility,shortage of drivers, empty return loads etc. Trucks need to be run extra shifts, round the clock or more days though the use of extra drivers or part-time drivers. While that may not be possible for a small- to mid-size company in an line haul operation, companies that operate in a 250- to 500 km radius could have other drivers operating some of their trucks on Saturdays or at night. The revenue objectives set out by the company needs to percolate to people in the operations department and the drivers need to understand what the number is that’s expected for each truck in order to make a certain level of profit. This communication will help make them realise the importance of their role. It has been observed often employees are trained to be customer sensitive, however the organisational objectives like revenue expectation are seldom shared. Having productivity-based incentives for both operations and drivers but with customer sensitivity can create the much needed impact in increasing productivity. Once you have a measurement system in place, it is important that you choose the right people in the right position with adequate attention to skill sets and soft skills. This resource is the most vital cog in your business model, the person who makes it happen for you. Post identifying this resource ensure the following is imparted: right training, customer handling, important of rest, safety and compliance, regular health check ups. This aspect of your business has to be dealt with utmost maturity and professionally to ensure that you get the right output. Among other items viz; adequate compensation, resting places, health checkups, incentives and other welfare measures need to be offered. The container market is starting to emerge from one of the worst industry downturns with demand outgrowing capacity for the second consecutive quarter. This is on back of the continued experience for most Ocean carriers, who experienced extreme margins (below zero) and revenue pressures and dropping yields. This situation has led to some of the largest liners declaring bankruptcy shutting operations as well. Hence this waft of some improving conditions has come in as a well deserved succor to the ailing ecosystem. One of the largest liners in the World recently shared numbers of increase in freight rates by 4.4% and increase in revenues and volumes by 10% last quarter. Some of the visible trends / triggers that would drive the industry are as follows. Post the demise of one of the largest Ocean Liners, there has been a spike in demand and it has created a supply – demand imbalance. 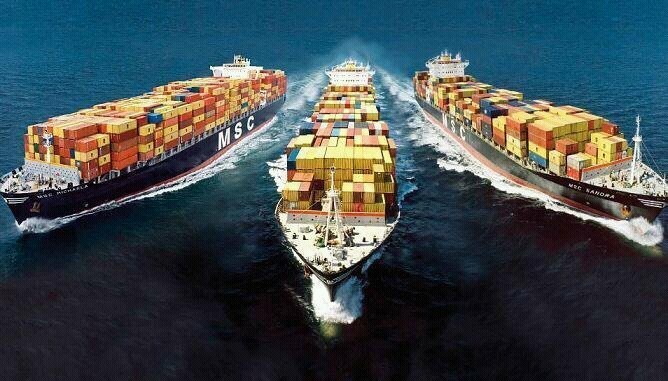 The large scale scrapping of vessels and no real new vessel ordering has also impacted this aspect of imbalance. 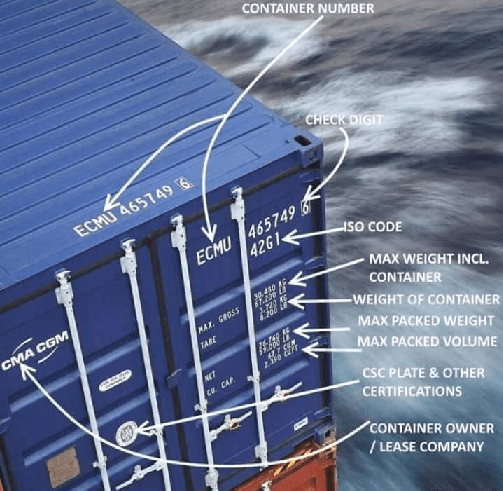 It is estimated that the demand for containers would increase to around 4 – 5% for the year. There has been a perceptible improvement in the shipping rates of single containers along the Asia – Europe and Asia – US (West coast) routes, over 2016 rates. Some level of carrier consolidation will continue in 2017 and we may see the entry of a new carrier into the transpacific trade. Consolidations and Mergers will continue for sustainability, utilisation and economies of scale. Major mergers like CMA CGM’s acquisition of Singapore’s APL, Cosco and China Shipping’s CSCL merger, acquisition of Hamburg Sud by Maersk etc are trends setting and redefining the space. Some of the Global majors are trying to reshape and redefine itself and adapt itself into a Global Supply Chain player by integrating its transport and logistics units, move more ships in and out of ports, carry more inland cargo, digitalise supply chain on platforms for scale, collaborations and transparency etc. Newer trends in Large majors (Shipping and freight forwarding) aligning with platform ecosystems in Americas, Europe and Asia to quickly provide a integrated solution to consumers and also draw in new businesses are being observed. With eCommerce business in India rapidly scaling up, newer global players are making a beeline for the consumers in India with product niches and service standards. The government is also trying to establish a conducive and fair platform for e commerce players to effect trade harmoniously. Service standards set up by these players in gratification of the consumer demand are turning a new leaf each day with better, faster and simpler logistics. Logistics players have had to rapidly re-adjust to the paradigm change demanded by these e commerce players and embrace technology to enhance efficiencies.